I received this book from the Blogging for Books program in exchange for this honest review. 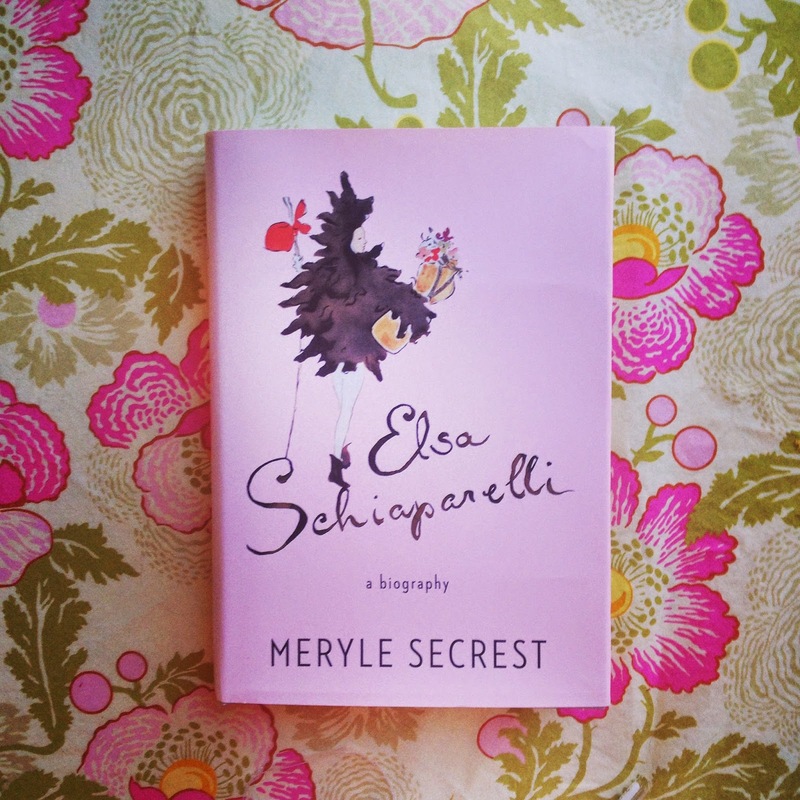 Have you ever heard of Elsa Schiaparelli? If you're in the fashion world, the answer is probably yes. In her time, Schiaparelli was a more famous couturier than Chanel, her contemporary. She is perhaps most famous for her invention of the color "Shocking Pink" and the corresponding "Shocking" perfume. Her inventive clothing designs captured the spirit of the times and the art movement of Surrealism at the time (she was a great friend of Dali's), becoming art themselves. 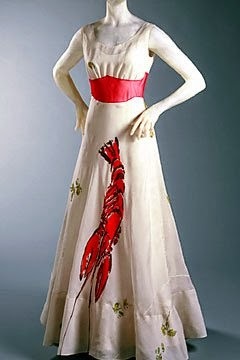 Giant lobsters skirted the bottom of dresses, and don't forget the parsley sprinkled here and there, on a dress worn by Wallis Simpson, the Duchess of Windsor, in her wedding trousseau. Buttons were foreign coins, giant bugs, or other strange ideas. Her clothes were expandable, sometimes even three-in-one, or featured unique hidden pockets, trompe l'oeil details, or fabrics of her own creation. But before Schiaparelli was a famous couturier, she had a unique and perhaps upsetting life, one that set her up for her surrealist escapades and her utterly unique entree into the fashion world. She learned business lessons by hard scrapes, had a disabled daughter with a conniving husband she later divorced, and somehow made her way into the top tier of Paris fashion. The second World War saw her star waning, perhaps due to a nagging interest the FBI had in her whereabouts (was she a spy? we may never know). Schiaparelli lost her footing in the fashion world, but her legacy continues today with inventions such as the wraparound dress, dresses with matching dinner jackets, swimsuits with built-in bras and the ahead-of-her-time split skirts. 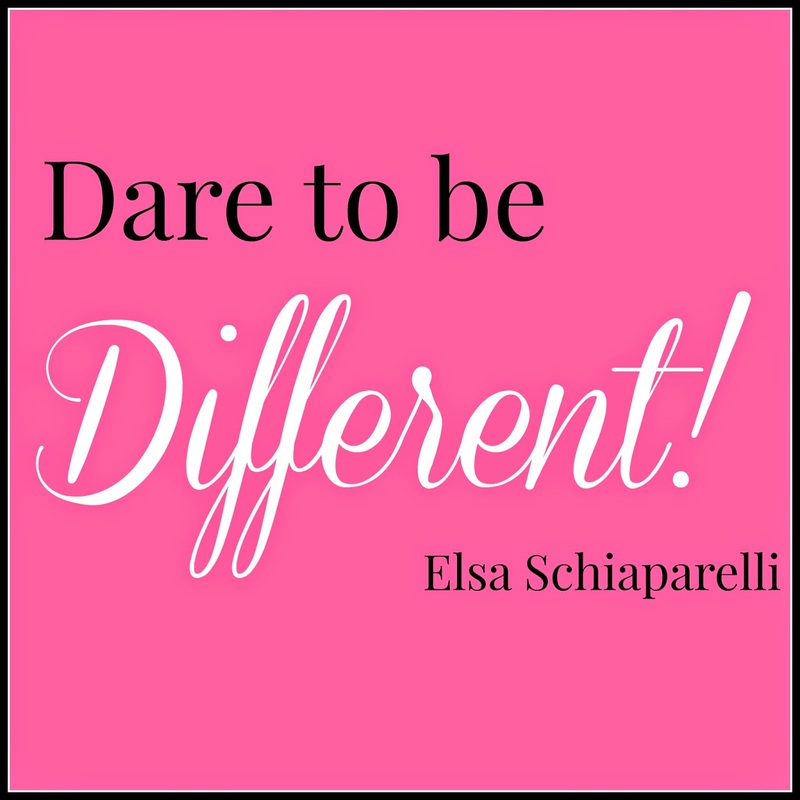 And, of course, her call of "Dare to be different!" and that ever-so-lovely shocking pink. This lovely book, a tome to be admired and set on a dressing table, is a triumph of the story of the shocking and madcap dress designer, none other than Madame Schiaparelli. A dash of the unexpected, indeed!